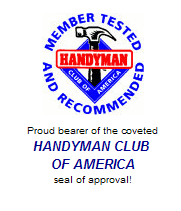 Click Here to Ask An Expert Do you have some questions that you would like to ask a professional washer repairman? Looking for a Washing Machine Repair Manual? No need to call an expensive serviceman, and then wait a couple of hours (or DAYS) for him to show up! 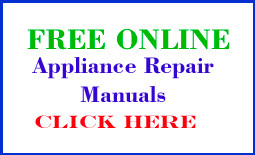 Diagnose your problem RIGHT NOW, cheaply and easily, with our FREE ONLINE washer repair manual! Not agitating, or agitating weakly? Not filling, or filling too slowly? Leaving your clothes too wet at the end of the cycle? Spinning and agitating at the same time? Screeching, squeaking, clattering, knocking, buzzing, or making grinding or other strange noises? Do you smell smoke when your washer is running? Your Maytag washer is leaking; what things do you check first? How about if your leaking washer is a Whirlpool or GE? It's a different set of likely problems. The same things tend to fail in the same designs. Diagnosis and repair procedures are included for the most common symptoms, such as leaks, no fill or slow fill, clothes too wet after cycle ends, no agitate, no spin, no drain, timer, drive motor and other electrical troubles. The washer manual covers all common brands sold in the US and Canada: Whirlpool / Kenmore / Inglis, GE, Maytag, Hotpoint, JC Penney, Amana, Norge, Speed Queen, Westinghouse, Kelvinator, Frigidaire, Gibson, Montgomery Ward, Signature and many others. Just as importantly, there are a few (VERY few) pretty poor designs, and specific problems out there that really are not worth fixing. If you have one, the manual tells you so. Remember, we are trying to save you time, money and hassle! There is no sense in trying to make a hopelessly complex repair requiring expensive special tools, or beating your head against a wall looking for parts that don't exist anymore. In such cases, the manual will advise you to call a technician or get rid of the machine. However, such problems amount to far less than one percent of all repairs that our customers report to us. Note: This manual does not cover front-loading washers; only top-loaders. Please share our washing machine repair manual.